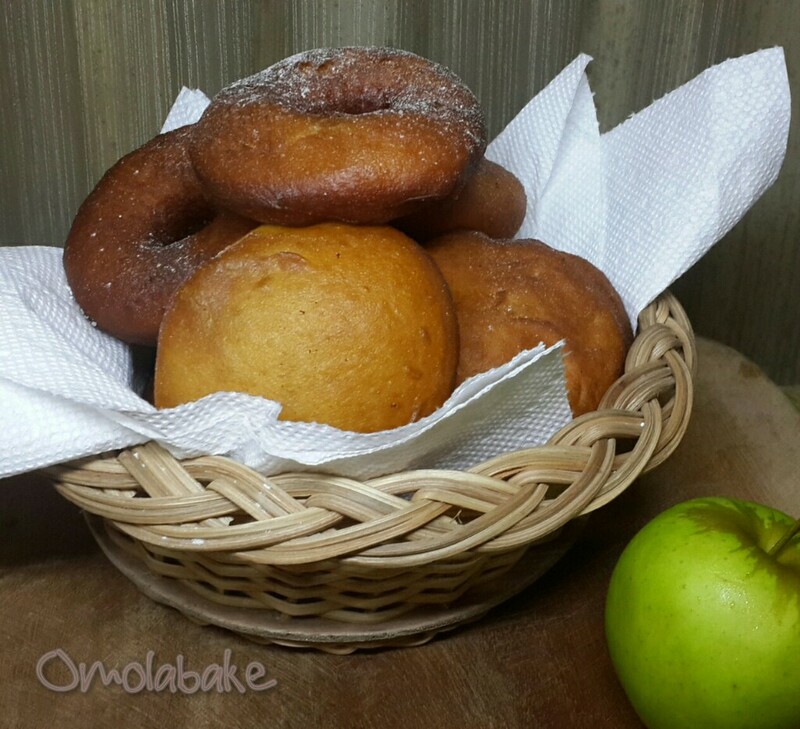 I’ve been making snacks all weekend, let me quickly share my Doughnuts recipe with you. This is a very basic recipe. Recipe (Yeilds 16 – 20) All Purpose Flour 500g Margarine 50 – 100g Sugar 75g 1 Egg 1 1/2 tbsp Dry Active Yeast 1 cup warm Milk 2 tablespoons water Procedure – Sieve flour into bowl, add yeast and stir, then add sugar, margarine and rub in. – In another bowl, measure 1 cup warm water, add milk, beaten egg and mix. – Make a well in the centre of the flour and pour in liquid mixture the mix with your hands. Knead until elastic or place on a mixer and knead using the dough hook until elastic or smooth. – Leave to rise. Once risen, knock out the air. 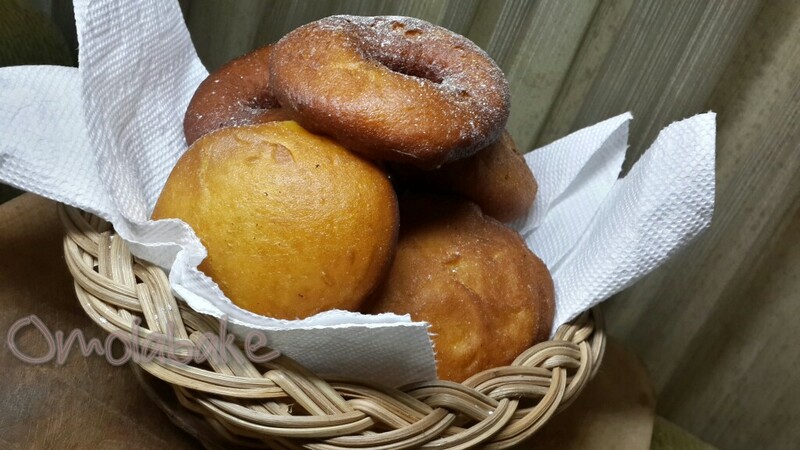 – Roll out with a rolling pin, use a cookie cutter or any round object to cut rounds, scoop jam into the middle of rounds , using a pastry brush or the tip of your finger wet outer edges of rounds with water, liquid milk or egg, cover with another round of same size and seal edges allow to rise or double in size, then fry in hot oil until golden brown. Alternatively instead of filling the middle of the round with jam first, fry till golden brown first then use a syringe to insert jam into the doughnut. 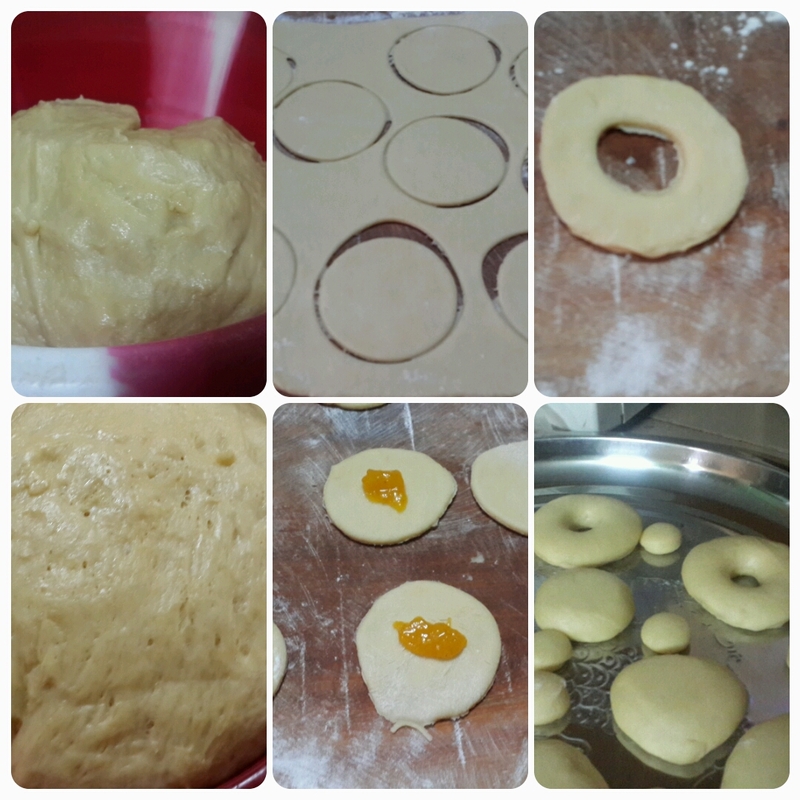 For doughnut with a hole in the middle, skip adding jam and use a small cookie cutter or any small round cutter, press it in to cut the hole in the middle. – When cool roll in granulated or caster sugar if you want. Nice one,but u didn’t or show pics of how to get the hole in doughnut.u said cover both n sealed the edge till rise,what of the hole marking.